"Can You Say All the Pokemon? 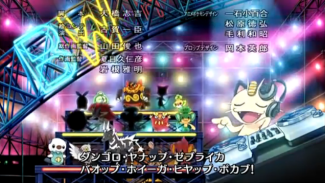 BW" (ポケモン言えるかな？ BW (ビーダブリュー)) is the second ending theme to Pocket Monsters Best Wishes. Used in episodes BW 026 - BW ?? ?